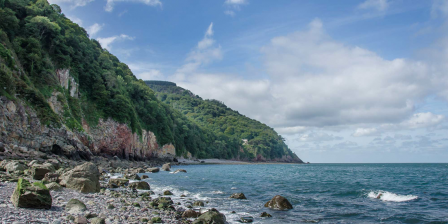 The Coast Path runs along the entire coastline of Exmoor National Park. With its mix of high cliffs, woodland and moorland it provides wonderful walking. 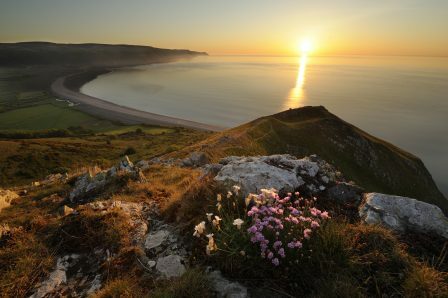 As this view across Porlock Bay shows it’s a great way to start (or finish) the path. 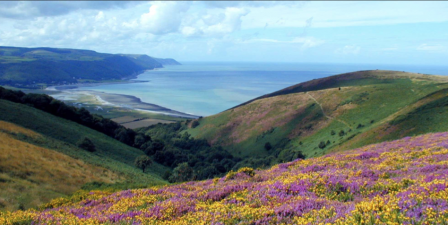 Exmoor National Park contains an amazing variety of landscapes within its 267 square miles. A unique landscape of moorland, woodland, valleys and farmland, shaped by people and nature over thousands of years. Where high cliffs plunge into the Bristol Channel, and cosy pubs and tearooms offer delicious local produce. On Exmoor it is still possible to find tranquility and peace as well as rediscover your sense of adventure; to catch a glimpse of wild red deer, be amazed by dark skies full of stars and explore villages full of character.